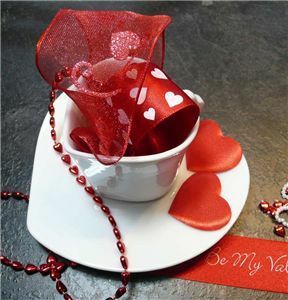 Valentine ribbon adds a little romance to your valentine cards. Whether you choose a classic simple gold foiled heart design ribbon or a more fun filled ribbon with dancing hearts, you should be able to find just the right ribbon from this carefully selected small valentine range. Whatever you do, have fun with ribbon!! !